Supreme Court of India on Tuesday issued directions to prevent the misuse of provisions of Scheduled Castes and the Scheduled Tribes (Prevention of Atrocities) Act 1989 (SC/ST Act). 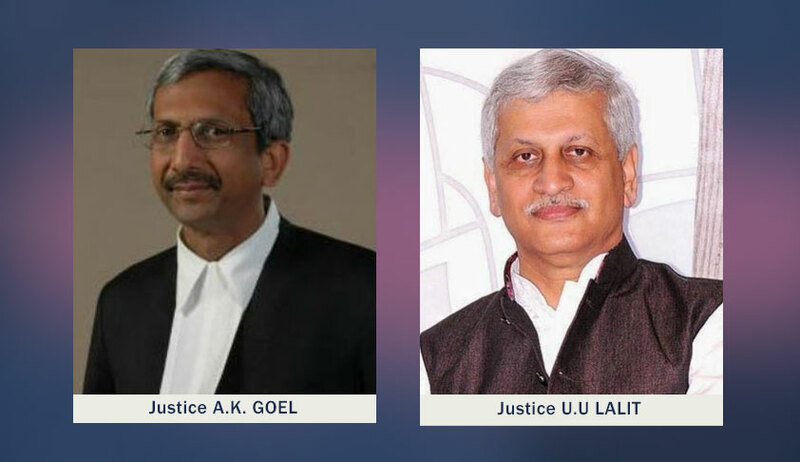 A Two Judge Bench of Justices AK Goel and UU Lalit was examining the question whether there can be procedural safeguards so that provisions of Scheduled Castes and the Scheduled Tribes (Prevention of Atrocities) (SC/ST) Act 1989 are not abused for extraneous considerations. "We direct that in absence of any other independent offence calling for arrest, in respect of offences under the Atrocities Act, no arrest may be effected, if an accused person is a public servant, without written permission of the appointing authority and if such a person is not a public servant, without written permission of the Senior Superintendent of Police of the District. Such permissions must be granted for recorded reasons which must be served on the person to be arrested and to the concerned court. As and when a person arrested is produced before the Magistrate, the Magistrate must apply his mind to the reasons recorded and further detention should be allowed only if the reasons recorded are found to be valid. To avoid false implication, before FIR is registered, preliminary enquiry may be made whether the case falls in the parameters of the Atrocities Act and is not frivolous or motivated"
2.In view of acknowledged abuse of law of arrest in cases under the Atrocities Act, arrest of a public servant can only be after approval of the appointing authority and of a non-public servant after approval by the S.S.P. which may be granted in appropriate cases if considered necessary for reasons recorded. Such reasons must be scrutinized by the Magistrate for permitting further detention. 3.To avoid false implication of an innocent, a preliminary enquiry may be conducted by the DSP concerned to find out whether the allegations make out a case under the Atrocities Act and that the allegations are not frivolous or motivated. The bench has issued the directions in a appeal filed by Dr Subhash Kashinath Mahajan against the Bombay High Court judgment refusing to quash the FIR lodged against him for offences alleged under the Act. The court also examined whether the above said procedure will be just and fair procedure under Article 21 of the Constitution of India or there can be procedural safeguards so that provisions of the Scheduled Castes and the Scheduled Tribes (Prevention of Atrocities) Act 1989 are not abused for extraneous considerations.